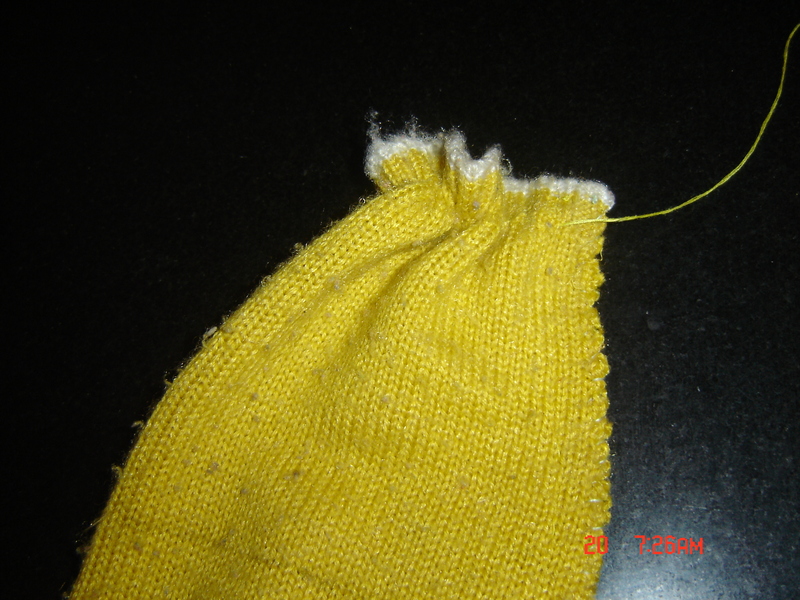 step 1: cut one leg of the pant, draw rough lines for head and body. 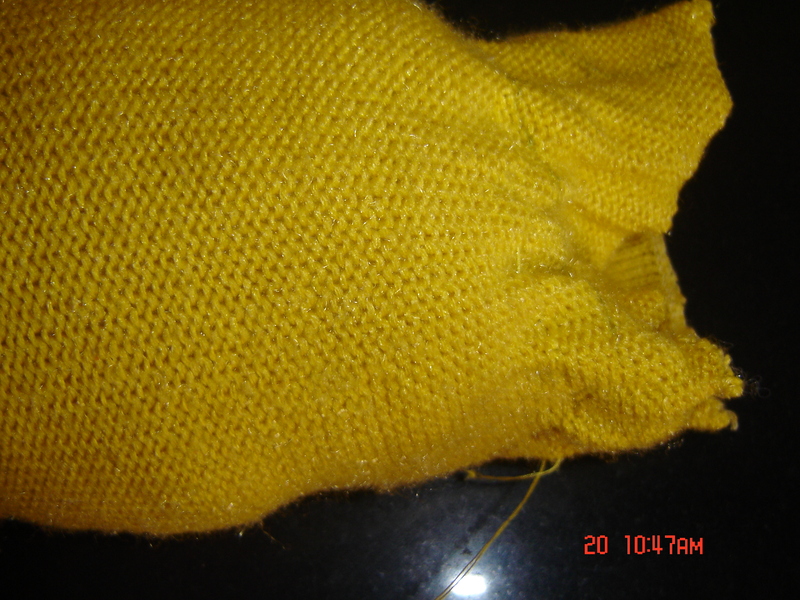 sew along the straight line to get a bag open at both ends. 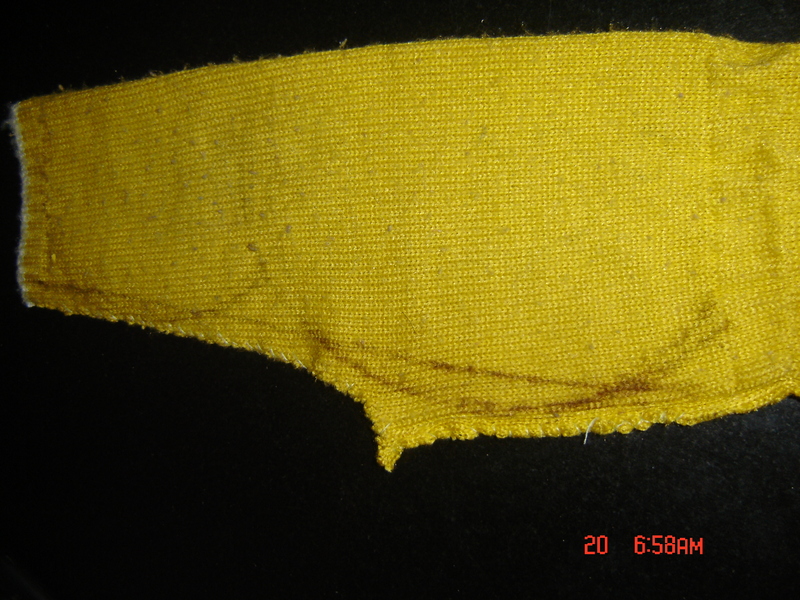 step 3: make running stitches around the neck portion. 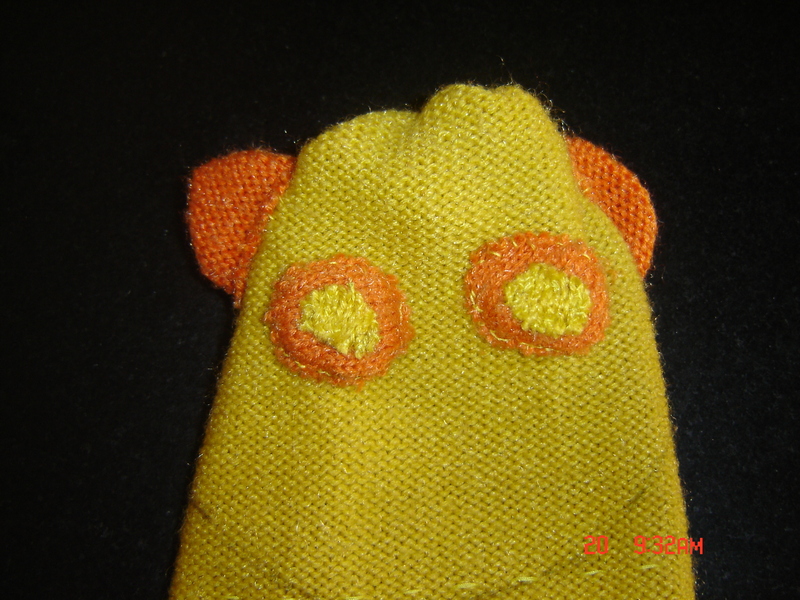 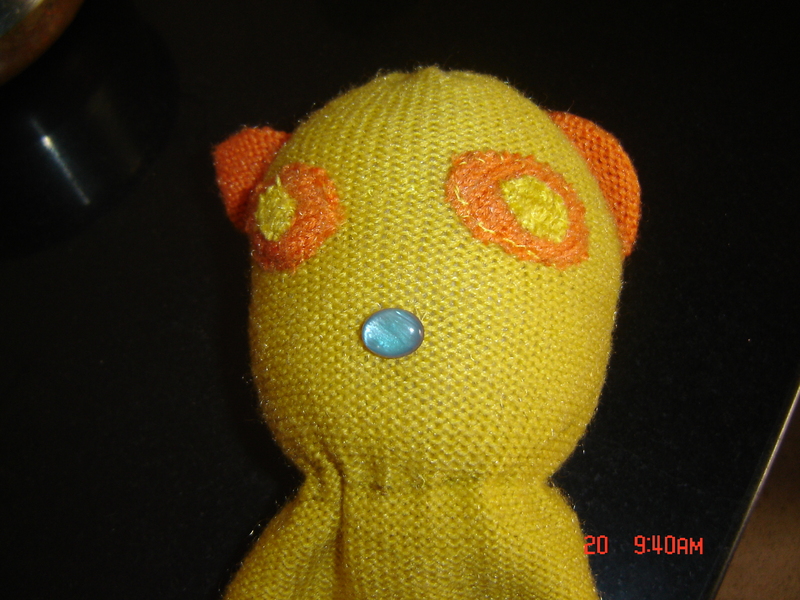 step 4: stitch the eyes, nose and ears on the head and fill it. 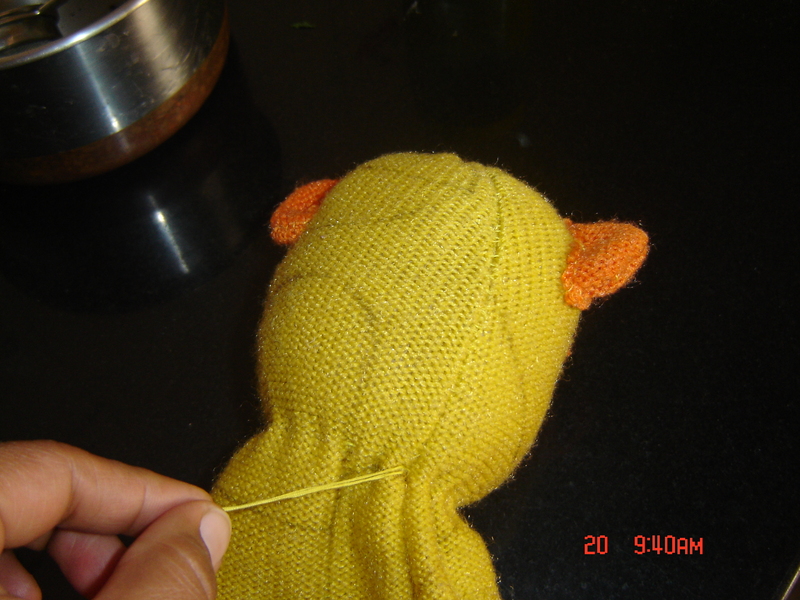 step 5: slightly pull the running stitch thread to get a neck. 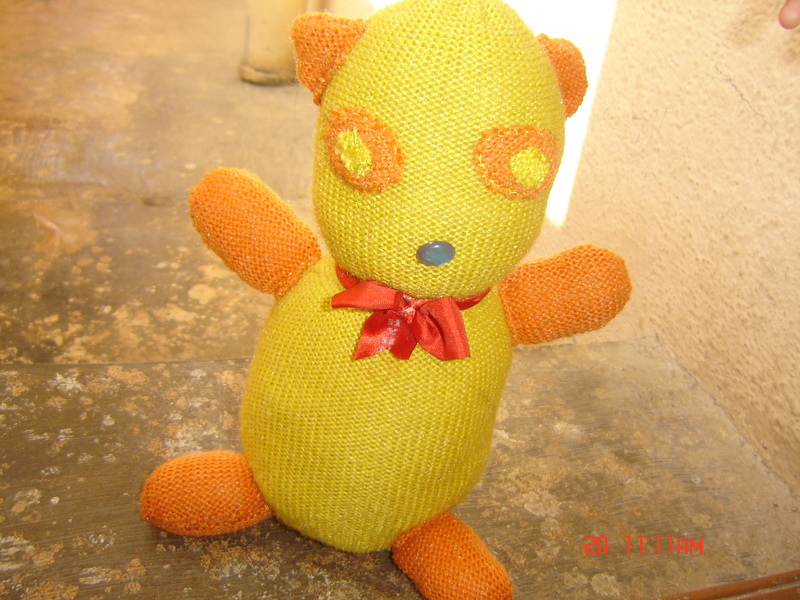 step 6: stitch the arms and fill the body. 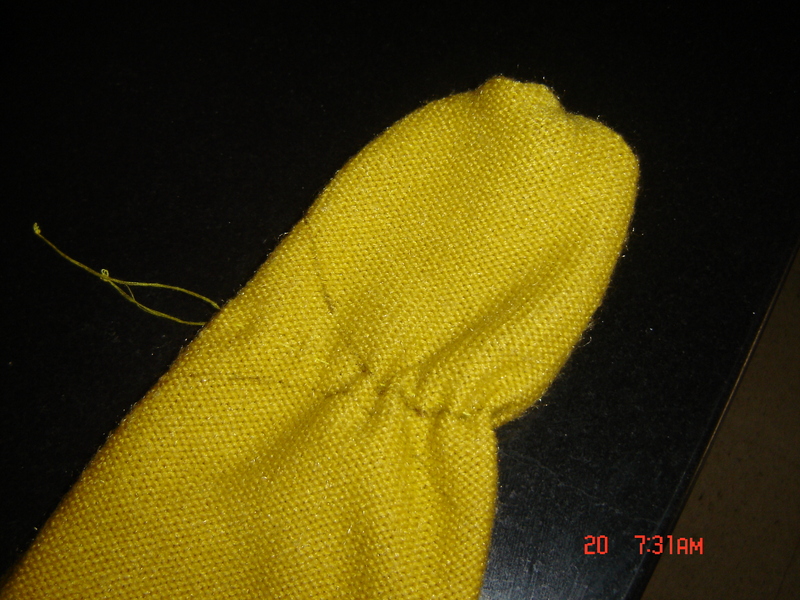 step 7: again to close the end make running stitches around. 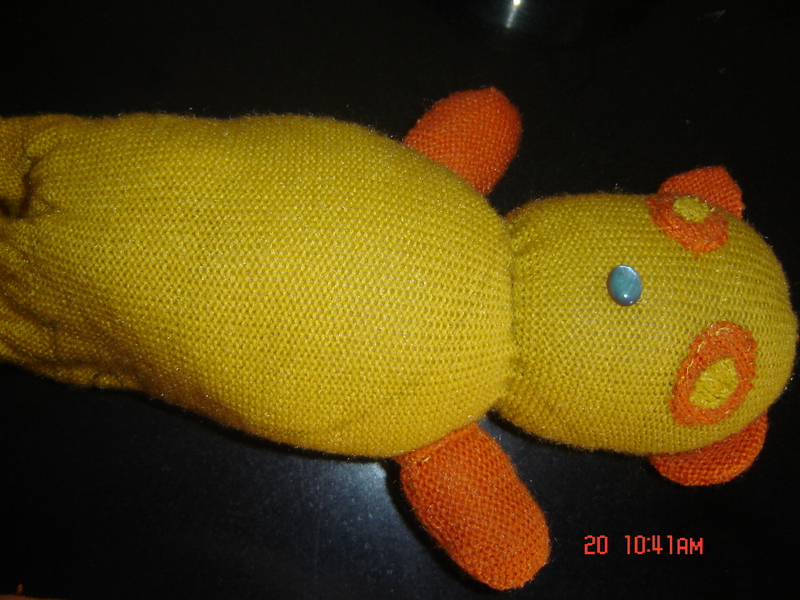 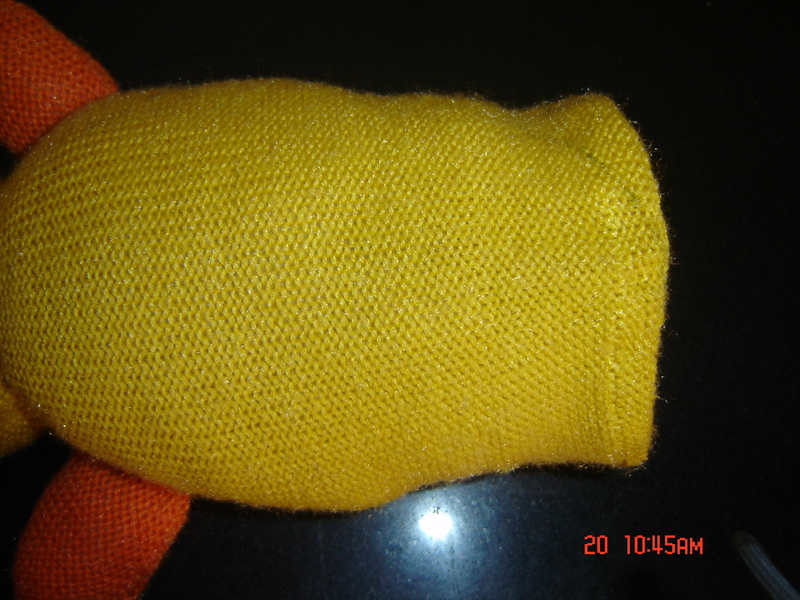 step 8: fold the remaining portion inside the toy. 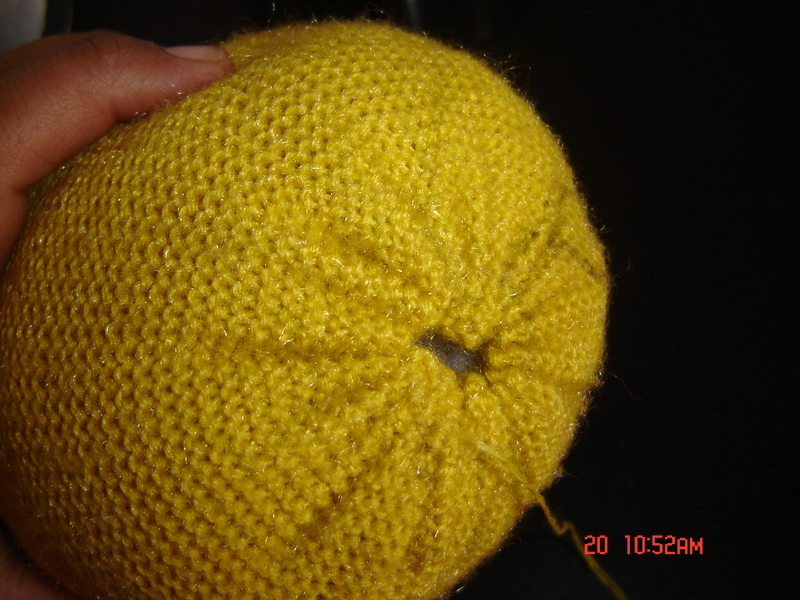 step 9: fill the remaining body and pull the stitch thread to close the end. 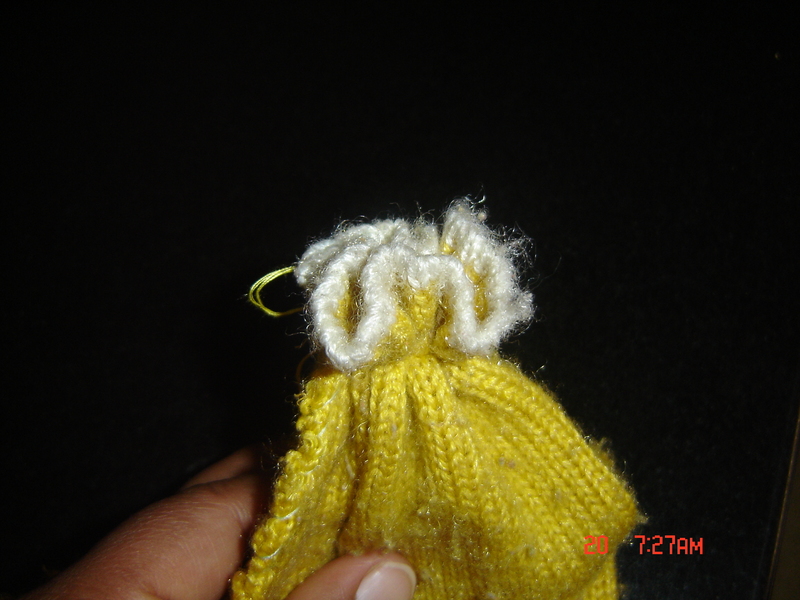 step 10: stitch the legs and tie a ribbon bow around the neck.